It has been really heating up here in Newcastle and after the colder weather warm nourishing meals, the time has come to add more raw organic produce in our diets! 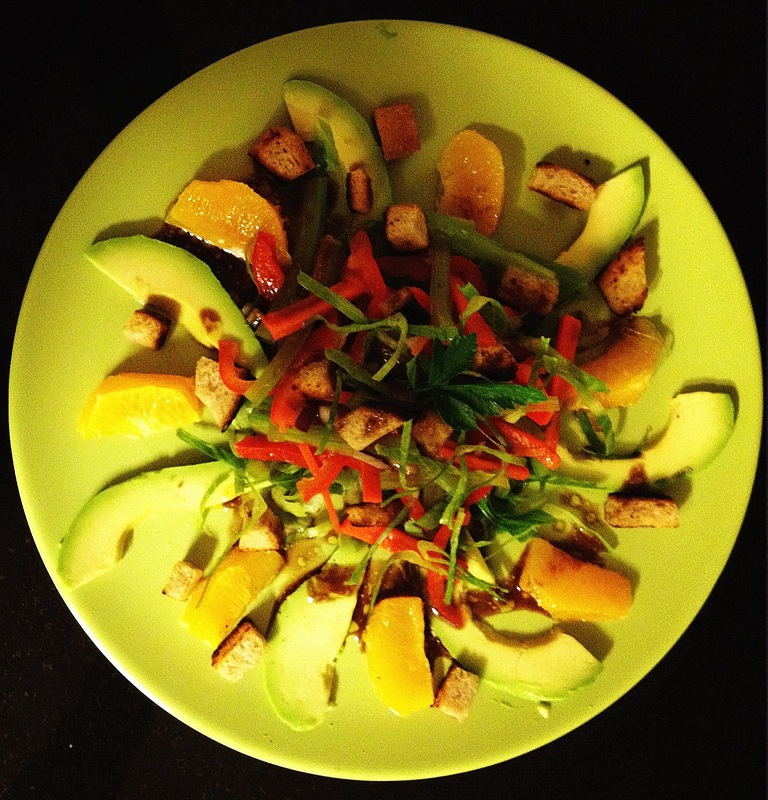 Love avocadoes & oranges – why not use them in a salad! Check out my new Refreshing Lettuce Salad with Maple and Vinegar Dressing and Baked Croutons! It is filled with multiple GLOWing vitamins and minerals; it also provides you with fibre, healthy fats and carbohydrates! You can make it look quite pretty, too, to serve to your beaYOUtiful self or your loved ones! Enjoy & let me know how you like this recipe!